Running is more than just exercise — it’s a performance. And Forerunner 645 has the tools to help you put on an outstanding show every time you lace up your shoes. 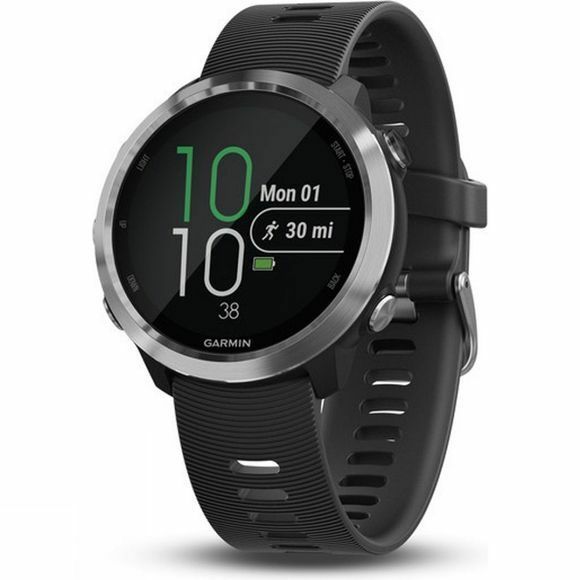 Featuring contactless payments that let you buy what you need while on the go — plus advanced running dynamics and performance monitoring tools — this GPS running watch is the instrument you need to refine the performance. Always on the run? Feel free to leave your phone and wallet behind. 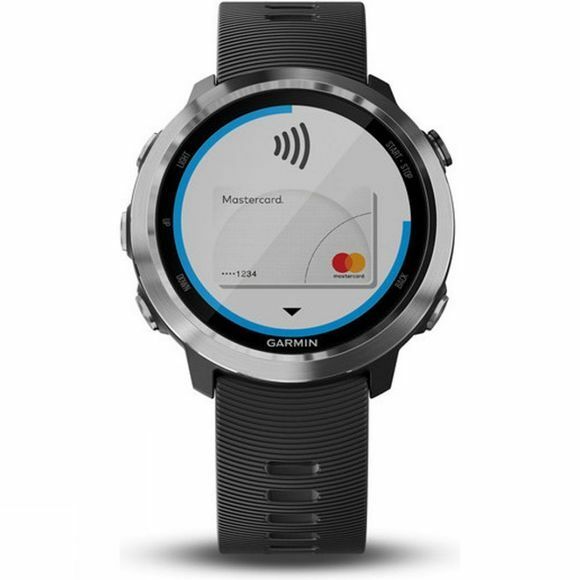 Forerunner 645 features Garmin Pay contactless payment solution¹, which lets you pay for purchases with your watch. Use it just about anywhere you can tap your card to pay. A bottle of water here, a bite to eat there — just pay, and keep on moving. We’re making it easier to get the data you need to improve your form. Let Forerunner 645 measure crucial running metrics that you can use to analyze your performance. Biomechanical measurements², such as cadence, stride length, ground contact time and balance, vertical oscillation and vertical ratio, are the key to understanding your form so you can bring your best on race day. These metrics are available with the addition of a compatible heart rate strap or the compact Running Dynamics Pod, which clips right onto your waistband. Also, take advantage of feature sets to help with cycling and even swim training. In the pool, Forerunner 645 will track your distance, pace, stroke count and more. Garmin is a leading, worldwide provider of navigation. They are committed to making superior products for outdoor and sports that are an essential part of their customers lives. Garmin are at the forefront of innovation.